When I was studying in the US, I used to play trampoline. This is where they are popular. For every 5 families, 2 families favored. Not only in the United States but also most of the young people in the western countries are favored. Back to Vietnam, I do not play again so sometimes I remember. Today surfing Facebook, accidentally found an interesting simulation game of this sport called Flip Master (MOD Unlimited Money/Gold). 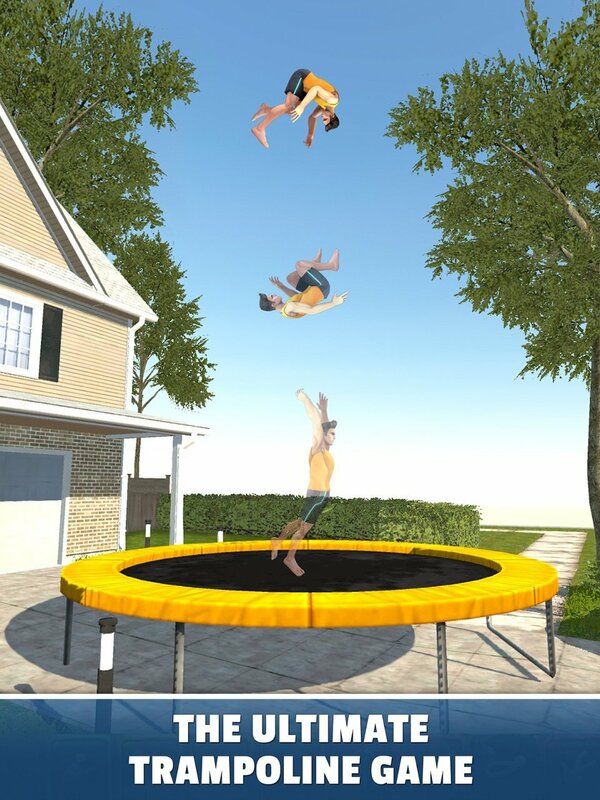 I remember the trampoline, so I open the iPhone to download the game, the first feeling is quite fun and a good time killer. Flip Master is a product of Miniclip.com, has two versions for both Android and iOS. This game is especially suitable for those who are interested in acrobatics. Released as a free-to-play, Flip Master quickly climbed the top of Google Play and Appstore in just a few days. In less than a month, the game has reached nearly 10 million installs. This is a huge number, partly prove the appeal of this sport, and also the attraction of the popular games of Miniclip.com. 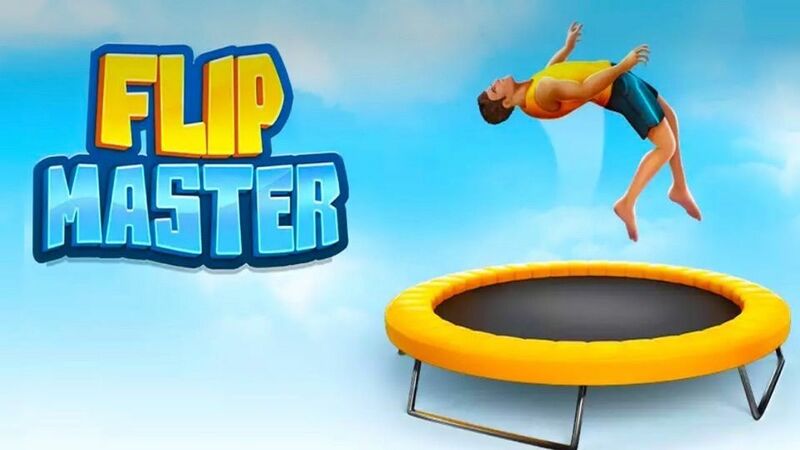 In the Flip Master, you will have to control your character to jump from the canvas and learn trampoline skills such as acrobatics, tumbling, jumping, jumping on the tarpaulin and becoming a trampoline athlete mastery. 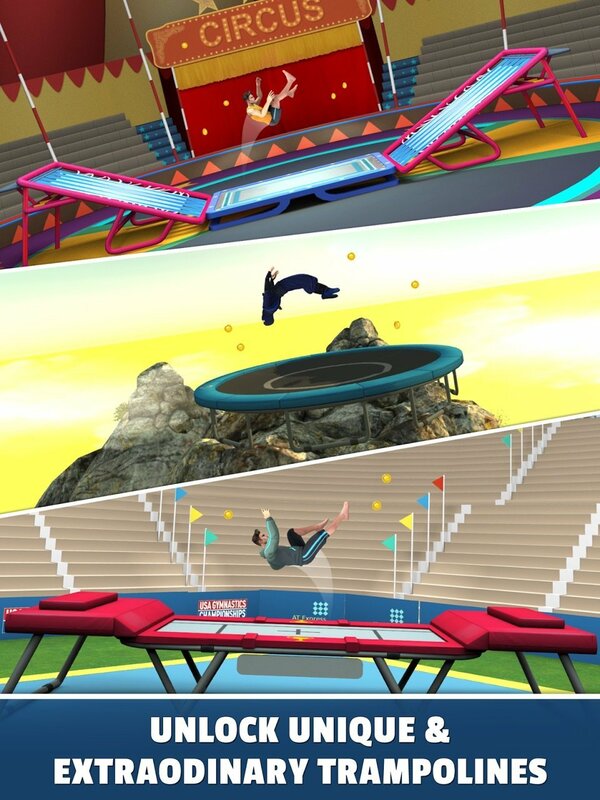 During the Flip Master game, try to jump as high as possible, Frontflips, Backflips, Gainers, Layouts, Jumps, and Bounces, avoiding the character lost momentum or fall out. During the game, there will be gold coins in the air so you can collect them. The game over is the most fun moment in this game. The fall in the game is mostly funny, but sometimes the horror (quite rare). When you feel bored, you can record your screen simply, record the best jumps or fun moments and share with your friends to see who is the best trampoline player. To increase the appeal, players can unlock more places to play as the backyard, gym, park, circus … with a variety of different types of tarpaulins. 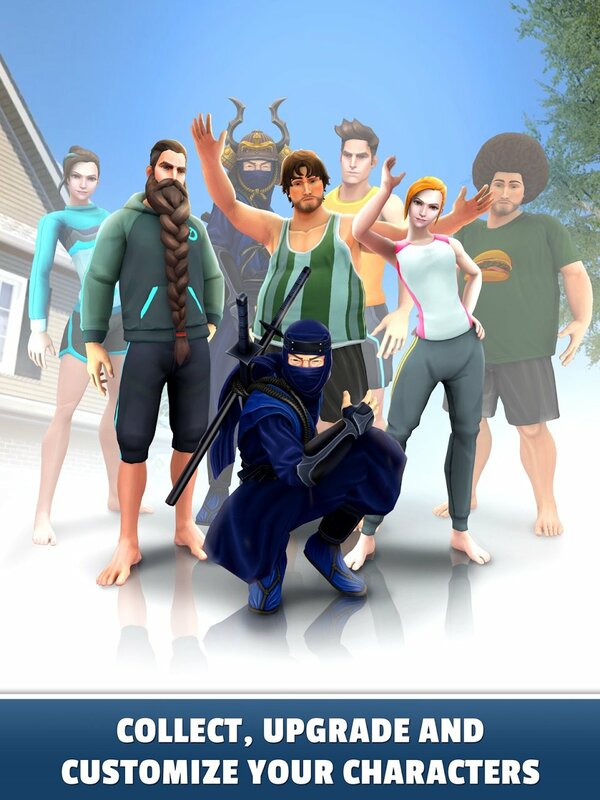 Besides, with the money earned, you can unlock new characters. You can optionally upgrade your character to achieve better physical strength. Of course, each character has a certain index, no character is the best. In terms of graphics, the Flip Master is designed with bright colors on a crisp 3D background that delivers the most realistic feel to the player. The motion in the game is programmed based on the physical mechanism, ensuring all the movements of the character are most natural. But do not worry, confidence in the laws of physics and prove your ingenuity in this unique subject. Music is relatively simple, mainly to have fun. Sometimes when you do not have the Internet and do not know what to do then you can take some time to experience Flip Master (Well, because this game does not need Internet, you can play it offline). This is a fun sports game, can not be more fun with beautiful design, fun and rich gameplay. 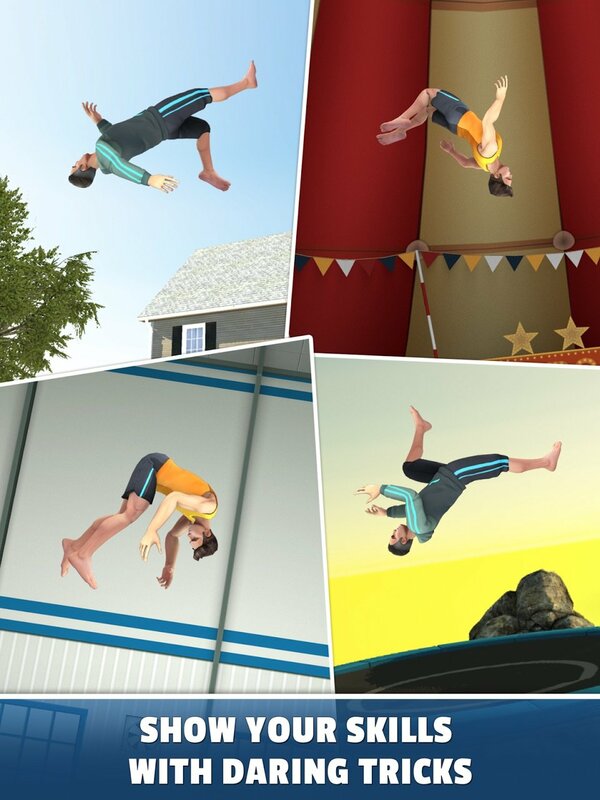 Flip Master is free on both Android and iOS platforms, are you ready to download the hottest sports game? Flip Master MOD APK is ready to download! Depending on your needs, you can download Flip Master MOD APK or Flip Master Original APK. Or install from Google Play / App Store if you want.